We are a leading Manufacturer of rubber conveyor system from Hyderabad, India. Being a highly effective, lean and fast-moving organization, we are highly instrumental in providing an extensive array of Conveyor Belt. Our provided conveyor is manufactured by our skilled professionals using optimum quality components and the latest technology. 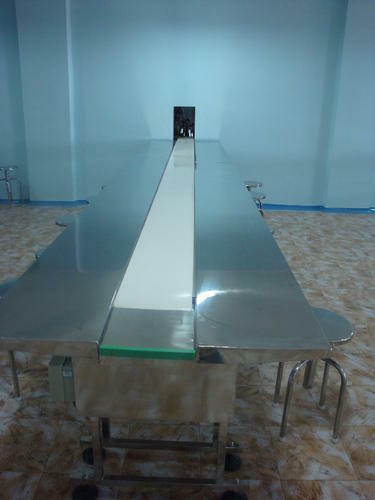 In addition to this, our customers can avail this conveyor from us with stainless steel table top with moving endless sandwich belt in the centre. Looking for “Material Handling Equipment”?